Cute London art print with a tactile fuzzy felt feel! 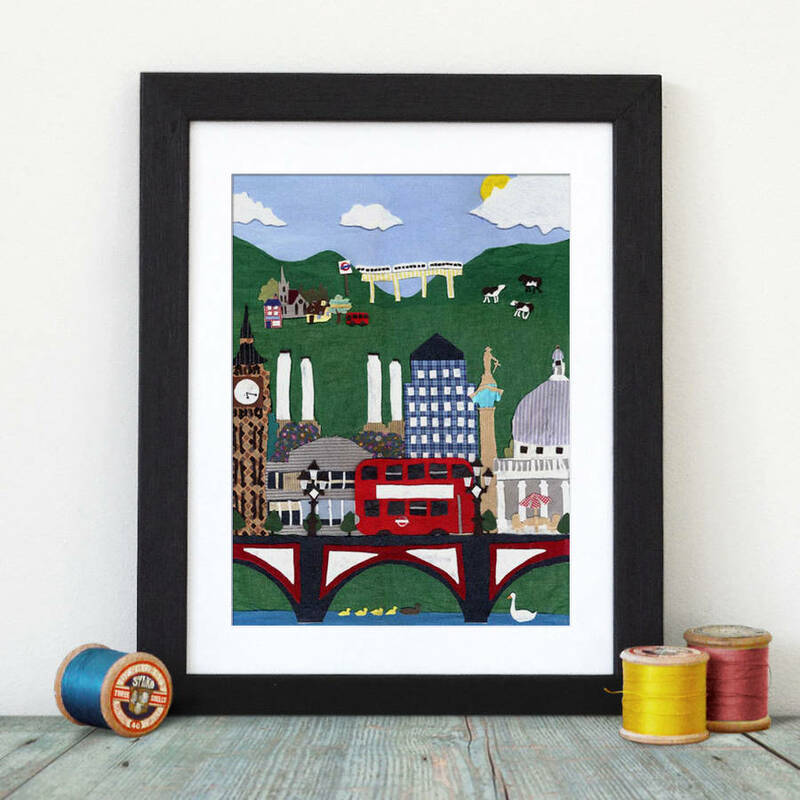 This London print shows all the iconic buildings, Big Ben, St Pauls, Canary Wharf as well as the big red London buses and underground. The illustration was inspired by showing how many rural areas surround London and how you can travel from the centre of the city all the way to the countryside in a short space of time. This piece would make a great piece of art for kids, perfect to remember a visit or see their home city in a new light! The original piece was a collage, made with lots of bits of fabric which you can still see clearly in this lovely print. 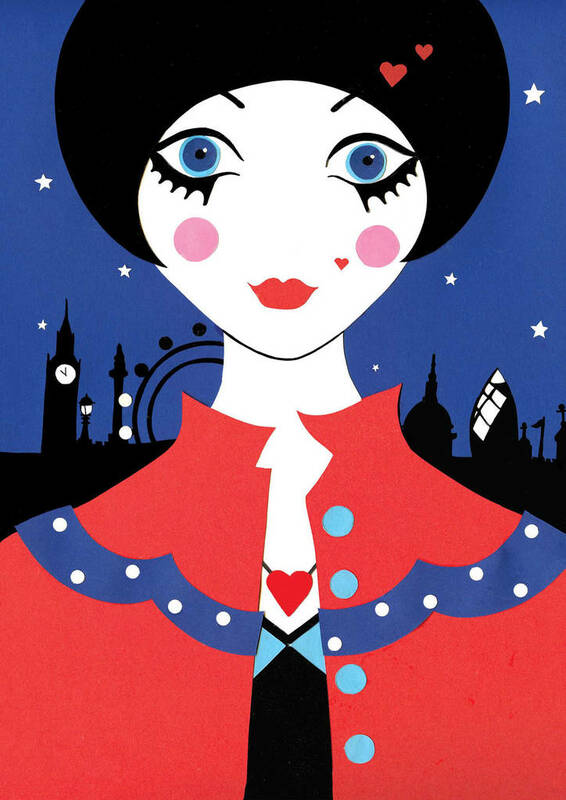 Choose from a London View Print or London Fashion Print of a stylish looking lady in front of the London skyline. Signed limited edition print on Epson archival matt paper. Comes in off white textured mount complete with Certificate of Authenticity in protective cellophane bag. All print sizes fit standard frames. Frame not included. Available in 3 sizes: Small ( 7 x 9 inches) and Medium (30 x 40cm) and Large (40 by 50cm) (including mount). All print sizes fit standard frames. Frame Not Included.